As an entrepreneur, if you had a service or product that didn’t seem to be “taking off” the way you expected, what would you do? You would probably try to understand the nature of the problem (or problems) so that you could come up with an appropriate solution. For instance, during your research, you might discover that your unique selling point isn’t important to your target market. Or, maybe you might discover that you’ve been pushing the wrong marketing message to your customer segments. You might even discover that you’ve been using incorrect assumptions about your customers to guide your internal decision-making processes. Regardless of what the problem may be, if you’re a savvy entrepreneur, you’ll try to get to the bottom of these problems, so you can institute whatever changes needed to fix it. Right? Now, let’s replace the word “entrepreneur” with women, and “service or product” with our corporate or startup ecosystem. I hereby ask all of the female empowerment advocates out there reading this piece: would your answers now change for the aforementioned question? Would you argue that it’s easier for entrepreneurs to fix problems with services and products to make them more successful, whereas, it’s not as easy for women to implement the same kind of “practical changes” to make themselves more successful in our global corporate and startup ecosystems? Well, it might shock you to learn that I don’t totally agree with this statement. As a woman who has attended many female empowerment events, I’ve seen how easy it is for a well-meaning audience to lose sight of one important thing. The fact that coming together and declaring female empowerment “a moral imperative” doesn’t necessarily make our community stakeholders any more eager to tackle the structural challenges that women face in their personal and professional lives on a daily basis. Why? Because human behavior is driven by incentives, and moral obligation isn’t always the strongest incentive. So, maybe it’s time that we started exploring the use of other incentives to promote female empowerment in our global communities. While I know that this might sound cynical, it needs to be saidand I derive inspiration from Aby Sam Thomas, Editor in Chief of Entrepreneur Middle East, who, during his opening remarks at the 2017 edition of the Achieving Women Forum presented by du, said, “At Entrepreneur, we’re always trying to do things differently, to dare to change the status quo.” With this thought in mind, I’d like to abandon the typical data and rationales that create the “echo chambers” that tend to develop around conversations about female empowerment, and instead start a new dialogue based off lessons learnt at this year’s Achieving Women Forum- a dialogue that focuses on how women can reimagine their value (and business values) to “hack” female empowerment paradigms, and incentivize real change. Being a leader is never easy, especially when you’re a female leader working in a predominantly male environment. In fact, it seems like many women in these positions often question their personal leadership style, because they’re afraid of being perceived as “abrasive” or “submissive” by their peers and subordinates. These are insecurities that ultimately undermine their ability to lead effectively, because they become more focused on adopting the “good qualities” of “traditional leaders” in their field (aka men) instead of exercising and honing their innate leadership strengths. So, no matter what leadership style they adopt, or how they go about spearheading change, it seems like female leaders are always in the spotlight. However, a leader doesn’t do what’s easy, they do whatever they need to do to achieve the long-term growth of their employees and their business. So, why don’t we encourage female leaders to lead authentically, so they can promote gender parity in a way that makes sense in their respective businesses and sectors? 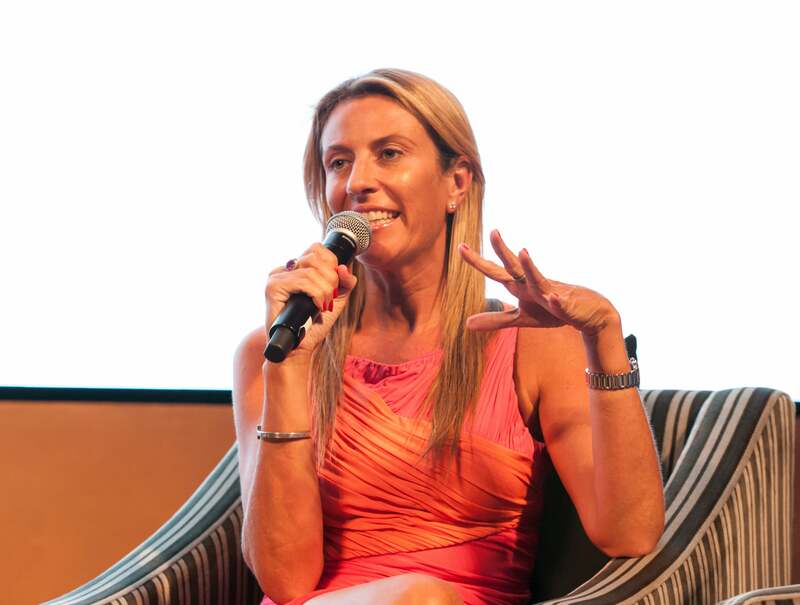 As Carla Koffel, Executive Director of Pearl Initiative, shared during the forum, as long as these female leaders “keep their eye on the prize,” and make sure that the way that they’re trying to achieve their goals fits within their personal and business values, then that’s all that really matters. Do I want to be liked, or do I want to do my job well? That’s a question that doesn’t seem to have a right answer. According to Rana Nawas, Senior Vice President, Capital Markets, at GE Capital Aviation Services, and President of the Dubai Chapter of Ellevate, “professional men are allowed to be competent and likeable at the same time, [and] professional women are not.” However, this impossible choice isn’t the only stressful thing that female leaders have to contend with in their workplaces. Even the most confident and capable professional women have to deal with barriers that have nothing to do with their “competence” or “likability,” which include unconscious bias and outdated work practices. Is it any wonder that the fear of failure disproportionally affects women than men, as Nawas noted during the forum? Well, obviously, it isn’t, but does that mean that female leaders should be paralyzed into inauthentic styles of leadership? Whether you’re a man or a woman, being a leader will require you to make some unorthodox and unpopular decisions. While I can’t deny that female leaders might face more unwarranted resistance just because they’re women, I also believe that it’s important to recognize that visionary leadership isn’t always appreciated. When you choose to be a leader, you’re not only choosing to accept a better position or a higher salary- you’re also accepting the task of implementing the difficult structural changes and policies needed to keep your organization relevant and successful. So, at some point, all leaders have to make a choice. They must choose whether they want to control -or be controlled by- their insecurities and egos. 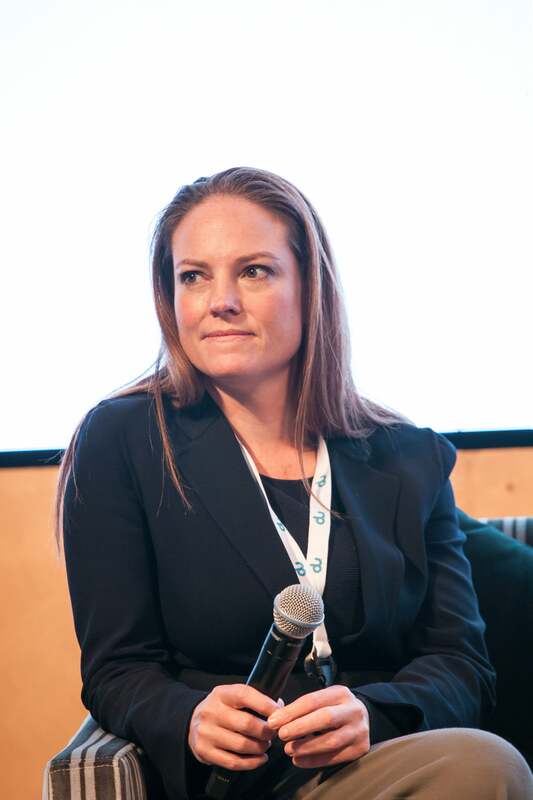 When asked to talk about her startup’s origin story, Katharine Budd, co-founder of NOW Money, told the forum’s audience that “it can be quite overwhelming when asked to define your business’ brand.” I agree with Budd- but I think this extends to your personal brand as well. Figuring out what your personal or business values are is hard, because it requires you to ask some difficult questions, and actually listen to the answers. Who am I? What do I believe? Why do I believe what I believe? Do I provide value to the people around me? If so, how? If not, why not? These questions might sound simple, but they’re not. They’re the existential questions that need to be asked to help you “pick up on the themes that will define your brand,” as Budd put it. 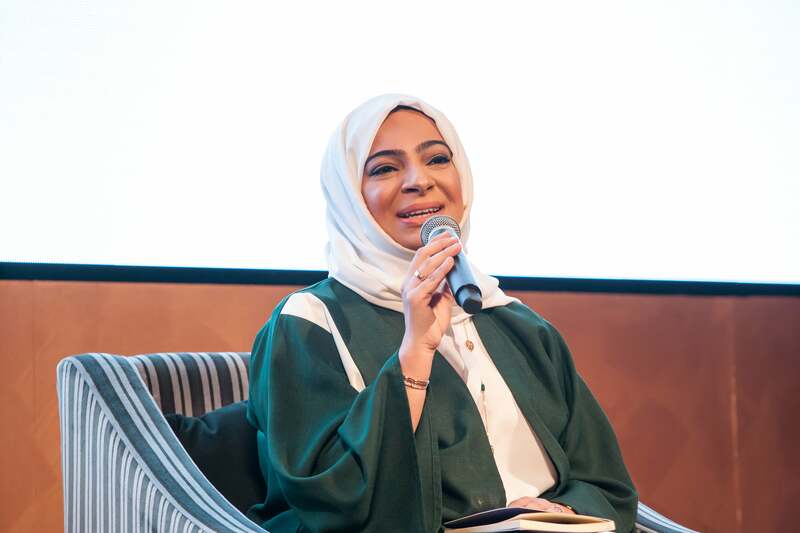 However, as Fida Chaaban, Chief Communications Officer at KBW Investments, shared during the forum, personal and business branding can be “a double-edged sword, [and] it doesn’t happen overnight.” It requires a constant effort from individuals and businesses to build and maintain a positive image of themselves. That said, it’s not always easy to know if you are projecting that positive image. Consequently, Chaaban advised the women and businesses in the audience to ask themselves one simple question regarding their public image: if you Google yourself, do you like the story that you’re seeing out there? If the answer to this question is no, then you need to change this by understanding your personal and business values, and articulating them in a manner that adds value to your peers and customers, both online and offline. Whenever the topic of women in the workplace comes up in a discussion, I can’t help but feel exasperated, because I know that I’m probably going to hear one phrase that throws the entire responsibility of this colossal undertaking on women. What is that phrase? More women need to “lean in” at work. Isn’t that what women have been trying to do for decades, with very little institutional help? Well, the fact of the matter is that women can only “lean in” so much without falling over, so perhaps it’s time that our global communities helped women establish some solid economic and social structures to “lean on.” But, as Lubna Qassim, Executive Vice President and Group General Counsel at Emirates NBD, noted during the forum, the weakness (or absence) of support mechanisms for women in certain fields or positions isn’t always indicative of a lack of support from male peers- sometimes, it’s the product of a genuine lack of awareness of the challenges that women face in the workforce. When you consider that the profile of your average senior executive in any company is a male between the ages of 53 and 60, it’s not hard to understand why female senior executives have to consistently deal with “mansplaining” or “manterruptions.” Having said that, we live in the age of the internet, so there’s no excuse for this ignorance (no matter how genuine) to persist. It’s time for the men in our social and economic institutions to start “leaning in” and helping their female counterparts feel supported. Nothing exemplifies men “leaning in” more than the opening statement of Entrepreneur Middle East’s very own Editor in Chief Aby Sam Thomas, when he noted the female-majority editorial team he had on board the publication, and declared: “[Our publication] is very much a women-driven magazine; a feminist magazine, if you will, and no, I don’t have any qualms admitting that.” This statement might sound simple, but it speaks volumes about the empowering work culture that other companies and leaders need to emulate for current and prospective female employees. When you’re strapped for money and time, crafting a strong marketing message (for yourself or your business) doesn’t always feel like a priority. However, it should be, because in this day and age, where people are constantly being bombarded with information, the only thing that will make you stand out in a crowded market is your unique story. 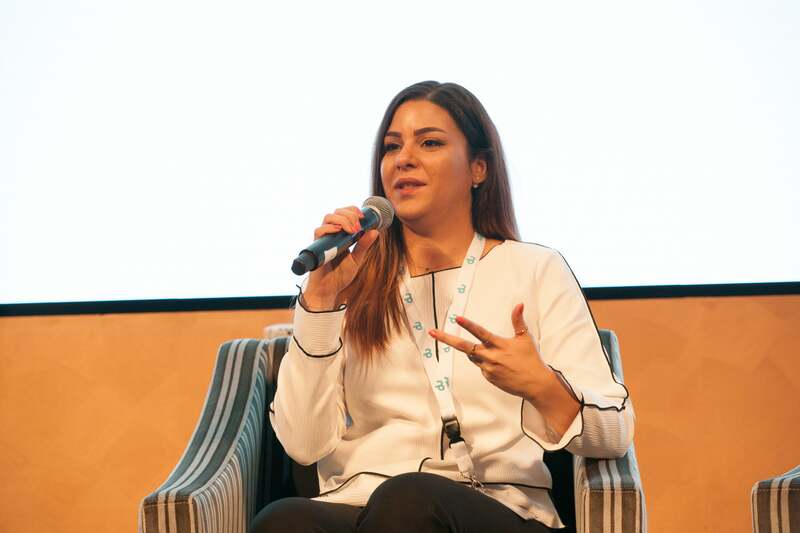 As Farah Moumneh, Head of Strategy at OMD MENA, stated during the forum, “marketing isn’t a cost, it’s an investment” that can only increase the value of your personal or business brand if you do it correctly. So, well, how does one do it correctly? According to Moumneh, “we’re in the age of addressability,” which means that individuals and businesses aren’t marketing to targeted audiences anymore. 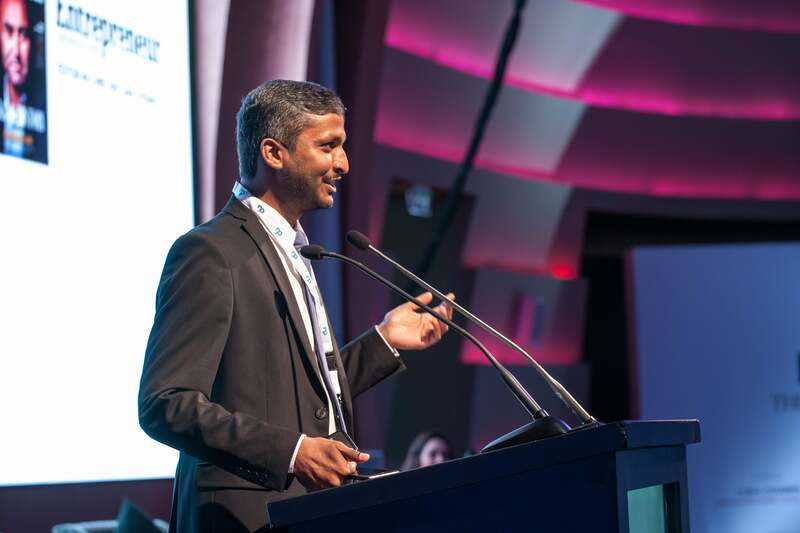 They’re marketing to addressable audiences, and therefore, by understanding their nature better, individuals and businesses can start focusing their marketing efforts on the audiences that will give them the highest returns. However, many individuals and businesses struggle to establish a clear understanding of their message and addressable audiences to implement these effective marketing strategies, because they outsource their marketing too early. Why is that a bad thing? Well, how can you understand your customers and solidify your brand marketing, if somebody else takes over that responsibility so early on? It’s just not a good idea, and that’s why it’s important for individuals and businesses to keep their marketing in-house at the beginning. Not only does keeping your marketing in-house allow your message to “come into its own,” it also allows individuals and businesses teams to fully internalize this message, so they can communicate it to their addressable audiences, and any marketing support they contract in the future. Let’s start by understanding what it means for a marketing message to mature. 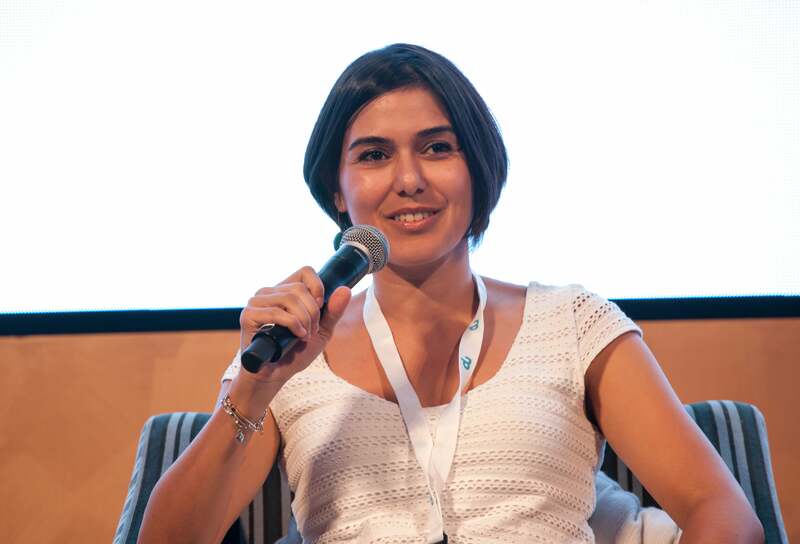 According to Serene Touma, Marketing and Communications Director at BECO Capital, this is the point when you learn how to “understand the difference between brand building and sales-led marketing.” Brand building is when individuals or businesses try to make people associate them with a specific feeling or positioning, while sales-led marketing is when individuals or businesses sets sales goals that they try to achieve through online and offline marketing strategies. Both are integral to developing one’s personal or business brand. However, many struggle to develop the brand building side of their marketing strategy, because it’s more nuanced, and for this, Touma advises that “if you’re trying to build your brand, you really have to think about where your audience is, how you want them to feel about you, and how you want them to know you or see you.” If you can answer these questions thoroughly, not only will it become easier for you to find your addressable market, it will also be easier for you to understand how to approach them, so you can increase your brand awareness. But business isn’t the only place we need to be employing this particular kind of logic. When it comes to female empowerment initiatives, I believe that the need for a robust marketing strategy for these initiatives is overshadowed by advocates’ desire to solely focus on selling the moral incentive for implementing them, as opposed to creating a more nuanced marketing message, which also highlights the financial gains and productivity that can be achieved by increasing the number of women in our social and economic institutions. Just imagine how different female empowerment initiatives could be perceived by our key social and economic stakeholders, if we focused on pitching them like an average business plan? In today’s crowded market, it’s not enough for businesses to promote their own products and services to be successful, because customers no longer rely solely on a brand’s marketing to assess their credibility. Customers also rely on the recommendations of social influencers and existing customers to decide whether they should use a service or product. Consequently, it’s necessary for businesses (no matter how big or small) to learn how to mobilize people to become both customers and ambassadors for their brand. As Sharene Lee, cofounder of Melltoo, shared during the forum, “everybody is a personal brand now and everybody can be that brand ambassador for you, so instead of paying external people to promote your brand, why don’t you pay your customers to do that?” It seems like a simple proposition, but it’s not, because the nature of every business is different. Therefore, the way you build your “brand diplomacy” should also be different. Anyone who has tried to blaze their own path in their personal or professional lives knows that it’s not easy, because it requires you to have unwavering conviction in your own capabilities and vision. It also requires you to have the courage (and sometimes the humility) to recognize when you need to redirect your conviction. No one understands the tenacity and flexibility that entrepreneurship requires more than Donna Benton, founder of The Entertainer. When she started her business, she didn’t know what the future would bring, but she did feel that she could do it. “I had the passion, I had the work ethic, and I believed in the product,” she declared at the forum. However, despite her personal conviction about herself, she noted that not everyone around her believed in what she was doing. That said, this didn’t stop her from pursuing her vision- it also didn’t stop her from recognizing when her business needed to pivot in order to continue thriving. “The Entertainer book was my baby, but you have to keep with the times.” In Benton’s case, staying in tune with trends meant digitizing The Entertainer, and offering it as an app to her customer base. Currently, the app accounts for 95% of sales, and starting next year it will only be available as an app. As we can see from Benton’s entrepreneurial journey, knowing when to persist and when to pivot is an important key to being successful on a personal and professional level. If you’re struggling to differentiate between the two, then ask yourself the following three questions. Do I have a clear plan and vision to achieve my goal? Would a pivot move me towards or away from my goal? Why am I resisting this pivot? If you answer all these questions, and you’re still confident that you should stay on your path, then you should persist. On the other hand, if you answer all these questions, and you realize that the only reason that you’re not pivoting is because you’re scared, well then, you should pivot. Yes, sometimes, it’s that easy. If you were to advise your average entrepreneur in a revenue-generating business to raise money from their most loyal investors, they would probably pick up the phone and call the VCs and angel investors on their speed dial. However, a truly disruptive entrepreneur would think of their customer base as their most “loyal partners.” After all, they’re the ones who are buying your products, giving you feedback and acting as your brand ambassadors. So, why not use this symbiotic relationship to grow your business? 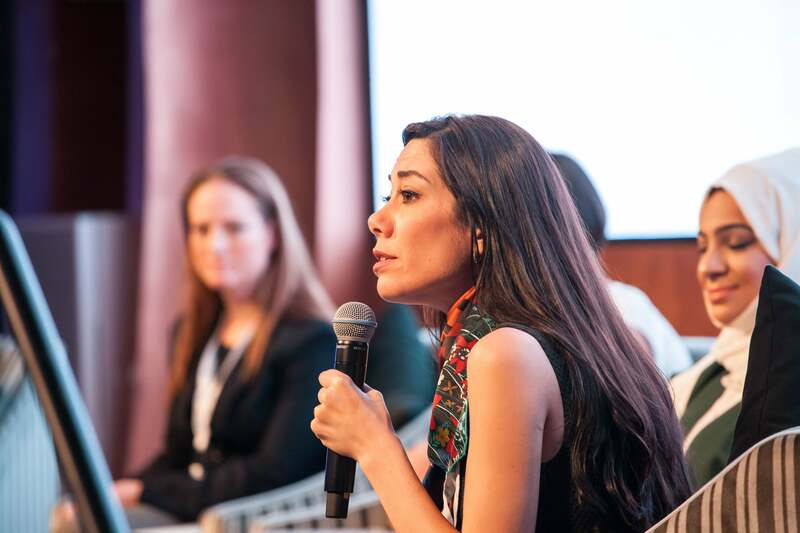 Alanoud Faisal, co-founder of Inevert, gave the forum’s entrepreneurs three tips to create a successful customer-funded business. First, you need to keep your team lean, but hire the best talent in each role. Second, you need to keep your existing customer base happy, while continuously recruiting more. Last, you need to aggressively market your business and create more awareness around your brand. 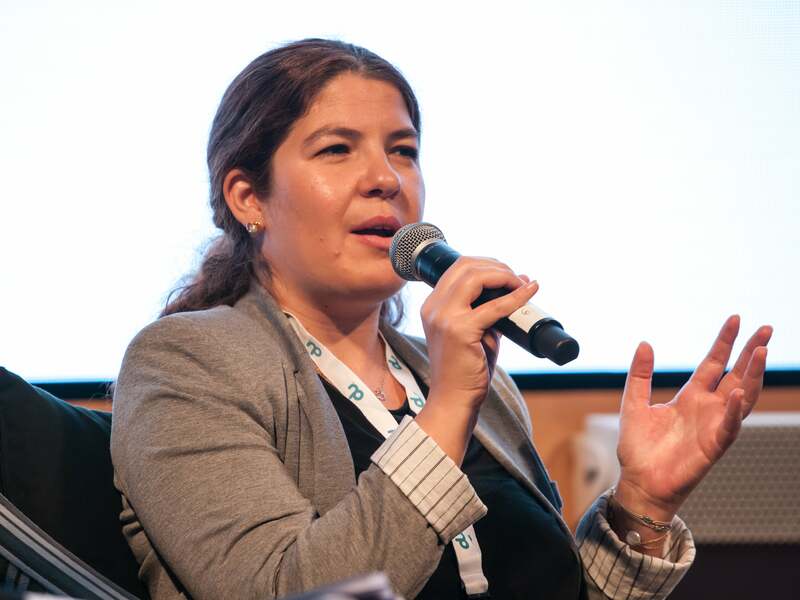 Jones noted that following this paradigm allowed Sprii to significantly increase their share of the region’s e-commerce market, but in order to ensure that a business’ rebrand doesn’t diminish its growth, Jones had three tips for the entrepreneurs in the audience. First, you need to conduct a lot of preliminary research and customer surveys to guide your rebrand. Second, you need to maintain good relations with your existing customer base. Last, you need to effectively communicate your pivot to your customers and partners. If you can follow all three of these simple guidelines, then you should be in good shape. Although there was much talk of the importance of authenticity throughout the forum, Tara Rogers-Ellis, co-founder and Managing Partner of Mojo PR, perhaps said it best when she said “you can’t fake authenticity.” It doesn’t matter if you’re talking about a personal or business brand, because if your brand doesn’t come from a place of truth, people will figure it out sooner and later, and you will lose the most valuable currency of all trust. However, that’s not the only thing that you can lose in the process. Being inauthentic can also cause other disruptive problems when you’re trying to build a brand. It can create inconsistent marketing messages, weaken customer relations, question your credibility, and undermine your position as a thought leader. Rogers-Ellis summed up the problem perfectly when she said that “not everybody knows what [their brand] sounds like, often entrepreneurs are so immersed in their business that they find it difficult to refine, simplify and find the quickest way to share their story.” With that in mind, if you’re not sure what you stand for, or what your personal or business brand is, don’t start discussing or sharing them until you do, because first impressions are hard to change. Also, the only way that you can effectively grow your business, build a strong brand ambassador program, or maybe even rebrand in the future, is to make sure that you lay a solid foundation. In your personal or business life, this base is your brand. So, make sure that your brand shares a timeless story that people can respect and connect to. Throughout this article, I’ve talked a lot about branding and authenticity, and I have to say that as a young woman, I’m tired of feeling like I sometimes have to be something that I’m not to be successful, because somehow my gender is consciously (or subconsciously) being marketed as a handicap of sorts. I’m also tired of being sold the idea that the men around me are “winning the lottery,” just because of their gender. What does winning really mean anyway? If the number of women in senior positions in corporates and startups were to experience a fantastic upward trend in the next couple of years, would that really mean that women were finally winning? Perhaps this may be true superficially, but I don’t think that this so-called “winning” will be sustainable. If our global communities are going to achieve the gender parity that we need to thrive, then we’re going to need to change our existing notions of female empowerment, which mistakenly believes that gender parity can be achieved only by focusing on building female human capital and networks, instead of focusing on building cultures of gender parity through gender collaboration. After all, a gender parity movement that isn’t driven by both genders is doomed to failure. If men and women don’t learn how to work together, they will consciously (or subconsciously) work against each other- like they frequently do at present. But there is hope, if our societies, corporates and startups are willing to make the courageous move to rebrand the current female empowerment movement that’s fighting to neutralize the stubborn ways of patriarchy. What should our new brand of empowerment be called? Youth empowerment. Let’s teach our youth that success isn’t a gendered or zero-sum game, so they can start building each other up instead of tearing each other down in a gender war. Remember that no one wins in a war; there are only casualties. In our case, the casualties are our social harmony and economic prosperity. Our global communities can do better, if we can build a future where our social, educational, economic and political institutions stop looking at empowerment as a gendered pursuit and start looking at it as a collaborative effort spearheaded by young global citizens. If we can find the courage to redefine the way that we view and practice empowerment, then we will give our posterity the only parity that matters: human parity.